Visit our website with all faculty, upcoming courses, topic descriptions and more. Each of these modules of study are open for all to attend. For those who wish to achieve the Practitioner Certificate course- a total of 10 modules of your choice must be mastered. 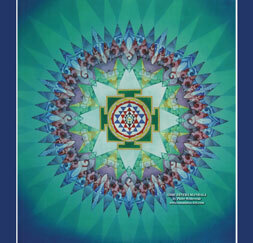 We weave and combine many aspects of Sacred Geometry, Alchemy, Eco-Design and Deep Ecology, Bio-Architecture, Art, Implosion and the new energy technologies, the Golden Mean Philosophies, Sustainable Environments, Spiritual Practices and Natural Healing, Transpersonal Experiences, the practices of Longevity, Immortality and successful dieing, Bio-Feedback and much much more. We have exciting events planned in South France, Prague, New York and San Francisco and other locations. Sacred Geometry is a study of the universal language of truth, harmony, beauty, proportion, rhythm and order. It is a blueprint of creation, an interface between the seen and unseen, the manifest and unmanifest. It is often described as the Arctitect of the Universe. The study of sacred geometry in our time can be imagined as creating an inner sanctuary bringing together all the parts of our experience in our life and cultivating a still center which feels like a connection to the timeless. This place connects the ideas of science, spirituality and beauty, a container which can hold many different ideas that may not seem to go together. It is a language of symbolic forms that have been part of all cultures to create a connection to archetypal sacred space. Through the study of archetypal sacred space, we discover a blueprint for the portable temple that we all carry within us and have the potential to manifest in our lives as a sense of peace and well being. This is made up of our experience of numbers in our lives, shapes in nature, how we deal with time, and our perception of harmony, beauty, order, meaning in the world, and the anatomy of our body. This language is used to create sacred structures which express spiritual values and act as an intermediary with the vastness of the universe. If we are a microcosm and the universe is a macrocosm, then what we create, whether it is a home, a temple, music, or some other kind of creative expression it is the middle ground known as the messocosm. This is a universal language that all cultures have explored at some time right from the earliest expressions in stone circles or patterns on pottery and baskets, continuing in the construction of the cathedrals and into the theoretical ponderings of modern physics. We will explore this language by viewing images, drawing patterns from different cultures around the world, building simple three dimensional forms and discussing the meaning of the shapes, and numbers and how they relate to our lives. Some of the expressions we will study is the construction of mandalas, rose windows, labyrinths, and what symbolic ideas are conveyed through these circular forms. Sacred geometry was used to create rugs and carpets in the middle east to express order, flowing divine grace and a representation of the gardens of paradise. It was used for creating healing spaces which evoke the divine order that reflected the orderly patterns seen in the night sky. Here are some themes for us to consider: in this time of conflict, what is the common ground between all the sacred traditions? What can reconcile, heal and represent the place where all the cultures for the world speak a common language? In most spiritual practices there is a tradition of using geometry to orient oneself and experience the transcendent world and the world of nature. This shows up in the forms of rose windows, architecture of cathedrals and temples, mandalas from Buddhism and Hinduism, African fabrics and music, Islamic patterns, and the Jewish diagram of the tree of life (the Kaballah). What was going on the past when communities organized their imagination to create extraordinary sacred space? The patterns of natural forms were studied to learn about how the universe organizes itself and how these forms express spiritual metaphors that taught us something about how to live together and dream. There is a delightful symbolic language in the world around us ˆ why do we count in dozens, why do fruit trees always have flowers which have five petals? Why are there seven days in a week? The shapes of clouds, rivers, trees, the night sky are all part of a language that we can read and enjoy. Geometry is the common ground between many of the cultures and traditions on our planet going back to the beginning of the human story. In our primary experience, the sun and moon would be powerful images of round forms circling in the sky, so the circle can be seen as an image of heavenly order. 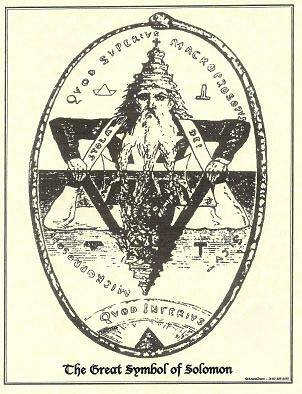 A triangle could be a mountain representing an approach to the sacred or it could represent fire, a transforming or nourishing energy. The square could be the cardinal directions, the four seasons or the four times of the day, a description of our experience of being in earthly time and space. In these classes we will look at, discuss, draw, and construct these shapes and explore other forms and patterns. The drawing exercises have been designed so that they will be interesting for people at all levels of experience and be incorporated into the presentation. There will also be some time devoted to exploring the geometry of 3 dimensional forms. In this way we will experience the ideas and feelings that will be described and see the potential that the material has for healing and inspiration. Every culture and society, since the beginning of time has had their version of a synergistic interrelationship with these patterns. • An introduction to the language: the shapes, numbers and patterns. • The symbolism of numbers especially the number 12. • Why the twelve tribes, the twelve apostles, the 12 of the clock face the 12 members of a jury? We will view case histories and examples of the patterned language of nature, including geometric shapes, music, art, the human body, landscaping, architecture inspired by the Cosmic Order, including Feng Shui, Sacred Geometry and Vastu Shastra (vedic design) Mandela’s. Historical as well as cultural perspectives will be entertained so as to draw a relationship between primitive indigenous and modern design. We will draw the sacred shapes and explore their integration into real world design. 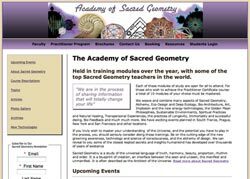 We will explore the practical uses in design - integrating Sacred Geometry and architectural harmonies into your design work. Many yantras in the Tantric and Vedic traditions depict the six pointed star. We will start with an introduction to the stories, symbols and traditions around the number six. We will then explore the shapes and geometry that emerge as we draw patterns based on this number with a compass and a ruler. There will be a chance to draw the geometry of snowflakes, flowers and patterns from many different cultures and discover the harmonies and ratios that emerge as we work with these shapes. Three the magic number in stories; the three wishes, three bears, three blind mice, and so on. To look at this theme, this we will be drawing patterns and constructing shapes which relate to threeness. 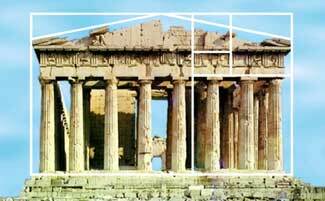 The golden ratio describes the special relationship found in nature between two parts of a whole. It can be described in terms of number, length, area, volume and, to a certain degree, beauty and consciousness. We are a microcosmic reflection of the macrocosm. The structure of the human body is based upon the same set of principles that are found functioning on all levels of creation. Our body contains within it holographically all the information of the universe. • The Universe is made of one substance and has one shape – the Sine Wave. • The world is made up of waves and sacred proportions. • Geometry produces symmetry. Waves get permission to arrange themselves and to store memory from ‘ONENESS’, through the Golden Mean ‘Phi’ ratio – the secret of the universe and the most accurate scientific pure principle to describe how things relate and function, evolve, change and manifest. • Waves are drawn to FOCUS and automatically sort themselves and agree to sustain via Sacred Geometry. They align to still points, creating ‘CHARGE’, ‘ecstasy’ and LIFE FORCE. • When the harmonics of the brain-body-heart-planet enter into NESTING, they do so by the principal of FRACTALITY. The small is within the large; the pattern of your fingertip is the same as the galaxy. • The doorway of perception is to holographically connect all of life processes – past, present and future. 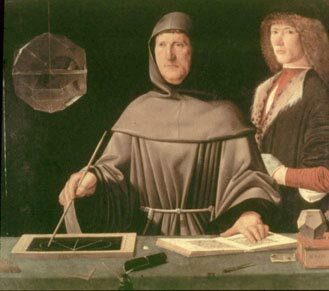 Discover why Pythagoras said Sacred Geometry was the most important science, art and philosophy for a healthy society to learn. 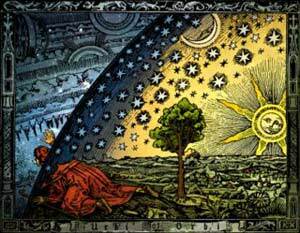 No lesser souls than Leonardo, Kepler, Goethe, Bacon, Gurdjieff, Steiner and Fuller and all western spiritual traditions and alchemists held Sacred Geometry close to the core of their beliefs and applications in life. It involved a deep meditative attunement and close observation of nature. 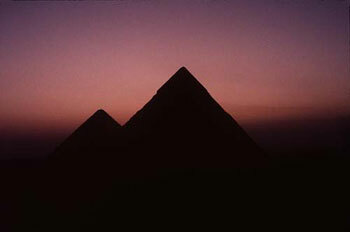 Suppressed for thousands of years - this lost knowledge of Truth, Beauty, Evolution and Harmony is slowly being rediscovered. The Ancients such as the Sumerians, Egyptians, Druids, Essenes and Mayans incorporated Sacred Geometry teachings into their mystery schools. Their initiates had to learn the Alchemy of the Soul. From the mosaics of Sufi Art, the pyramids of Ancient Egypt, the Mandela’s of Vedic Philosophy and Vastu Shastra, to the calendars of the Aztecs and mystery schools and secret societies in the western world, to the medicines of India, Tibet, China, Celtic and Druid – Sacred Geometry has long bridged the world of spirit and matter. It continues to play an integral role in the traditions of art, architecture, science and cutting-edge physics, alchemy, feng shui, geomancy, music and mathematics. Sacred Geometry gives you the opportunity to take a BIG PICTURE look at yourself and your place in the world. Once mastered, it can be applied and used as a tool in healing, meditation, visualization, counseling, teaching, researching, biofeedback, sacred space design, feng shui, dance and movement, architecture and the creation of peace, emotional coherence, longevity and peak experiences. 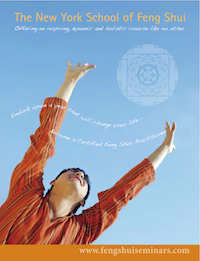 NOTE: This Foundation course can be credit towards Roger green Feng Shui Practitioner course held at The New york School of feng Shui- eight module trainings for the Feng Shui Practitioner course. No previous experience is required in music, art, mathematics or physics. We have a balance between the technical and experiential, and a wonderful balance and play between left and right brain qualities. We also offer on-going advanced trainings and retreats with teachers from all over the world, once you have mastered the Foundation Course. And also, please bring an open, playful, and curious mind. Our hope is that we can be a community for the duration that stimulates discussions on what is beautiful, sacred, and authentic in the world we live in.